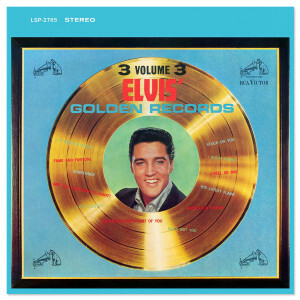 “ELVIS GOLDEN RECORDS VOL. 3” is a new 2-CD release in our classic album series. It features a 7” digipack with 12-page booklet. By the time Elvis' Golden Records Vol. 3 was released in August 1963, no one in rock ‘n’ roll up to that point, other than Elvis, had ever legitimately earned a second ‘greatest hits’ volume, much less a third. It also embodied the best commercial examples of Presley’s new post-Army maturity, as both vocalist and musician, and the songs featured on this album achieved an unparalleled level of global chart success by any artist between 1960 and 1963.